After printing this out, while I was adding it to my bot, I realized that there was a practical use for this, other than the joke. 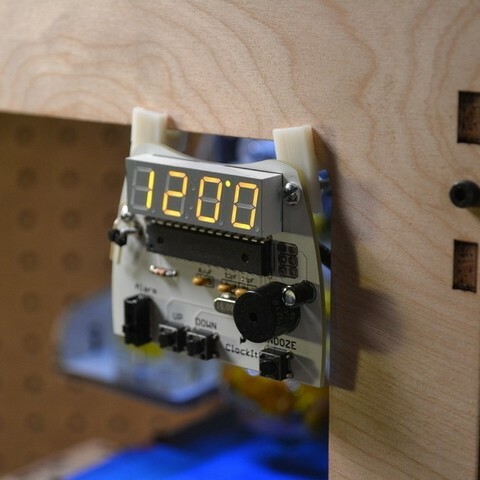 It could be used for time lapse videos for displaying the passage of time, It fits nicely into the upper right of the frame, or a stopwatch for the time your bot has been printing an object. It may be nice to have a custom program for the ClockIt that is more of a stopwatch rather than a clock. I don't know if I will be able to get around to writing one, so if someone is ambitious, go for it! Print the brackets out and mount the ClockIt to them with 2x 4-40x~1/2in bolts, I used 4-40x3/4in. Then press the brackets onto the wooden frame on your MakerBot. 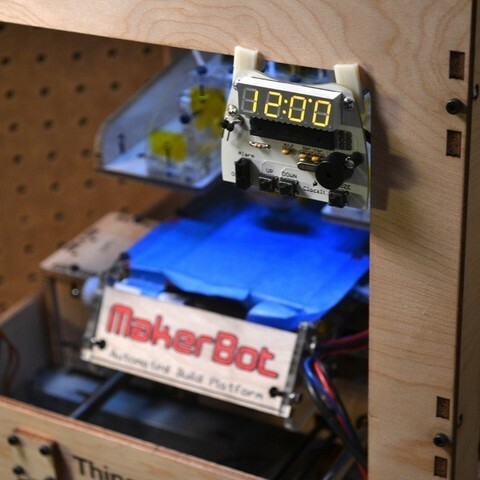 The power cord for the ClockIt can be fed though the front right hole in your MakerBot.